The Women of St. Mark’s thank the congregation for their many, many donations and assistance with the annual bazaar. 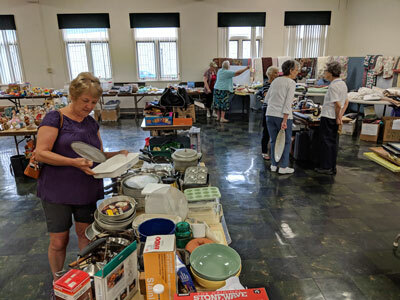 In the days preceding the sale, the Property Committee assisted with moving chairs and furniture to prepare Fellowship Hall and the women’s basketball team of Lycoming College, under the direction of Coach Christine Ditzler, proved invaluable in moving all our donations to Fellowship Hall and the Crossway’s Room. 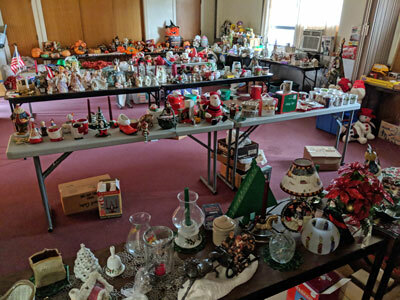 Finally each morning many members and friends of the congregation sorted and organized the mountain of treasures all in preparation for the big day. This year in an attempt to garner more sales we were open both Friday night and Saturday until 1:00 PM. Our efforts were well received by the public. The kitchen under the direction of Parish Life fed many hungry customers in addition to our own folks, with hot dogs, snacks, candy and beverages. 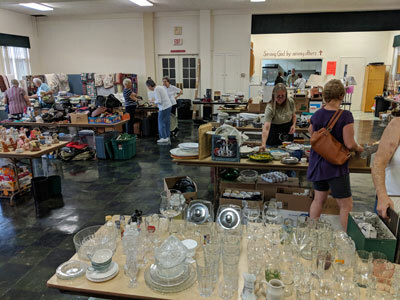 Items not sold at our sale were donated to Daniel’s Closet, Newberry Branch of NGA (Needlework Guild of America), Lancers Against Cancer / Relay for Life, Operation Christmas Child, Friends of the JV Brown Library and the American Rescue Workers. This year’s sale raised $1,668.71 that will be used by the Women of St. Mark’s to support charities both locally and globally. to support charities both locally and globally.